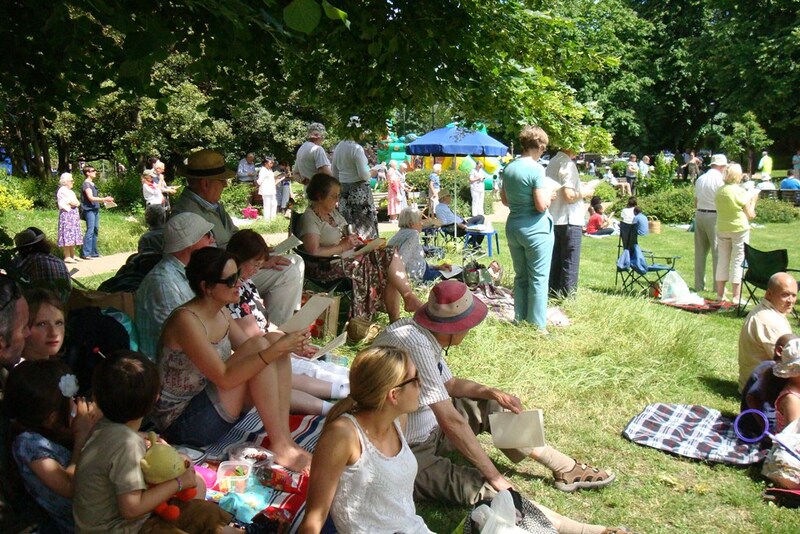 Churches together in Beckenham (CTiB) enjoyed a Pentecost Picnic on Sunday, 8 June on Beckenham Green. About 250 people attended and enjoyed music, singing, drama, a bookstall and a Street Pastors’ presentation. Rev. Neil Draisey from Beckenham road Baptist Church gave a short address. After a wet Saturday the weather was perfect.